Chart based on average Nassau County tax bill. Where Does Your Property Tax Money Go? Residents throughout my legislative district tell me that they cannot afford any more property tax increases. I am proud to say that County Executive Ed Mangano and our Legislative Majority have passed Three Consecutive No-Tax-Increase Budgets. County taxes represent a small percentage of your tax bill and have been stable for the past three years. 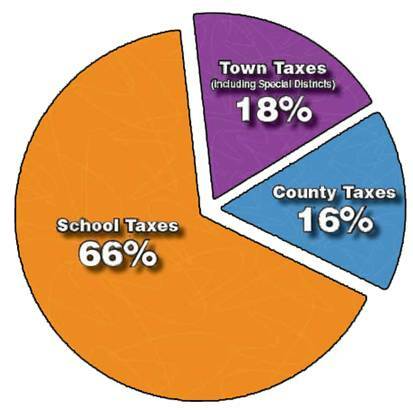 As you can see, county taxes represent just 16% of your overall tax bill. While other municipalities or districts may have increased your taxes, we have killed the 2.5% home energy tax, eliminated 16.5% in proposed property tax increases by the prior administration and continue to hold the line on property taxes. To review more information specific to your property, please go to mynassauproperty.com and follow the ‘property search’ link.